The simplistic narrative one usually sees, hears, or reads about the Israeli/Palestinian conflict in the American mainstream media generally reduces down to something along the lines of, "the Palestinians want their own country, but every time Israel sits down to negotiate with them, things break down because Arab extremists carry out terrorist attacks on Israel." And yeah, that's part of the story, but it's hardly the whole story. Israel has extremists of its own, and they are as much a part of the problem, if not more. Because even when the official state of Israel tries to move forward with peace, there are Israelis who insist on moving into territory that doesn't belong to them. And even if the government's official stance is disapproval, there are elements within that government that support the Israeli extremists and ensure that little is done to curtail their activities. 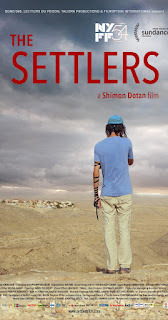 THE SETTLERS, a documentary feature from Israeli filmmaker Shimon Dotan, sets out to show those who don't already know just what it is that drives these settlers, and the impact their actions have had, and continue to have on the peace process. And when you hear them frankly and plainly state their goals and motivations, it's hard not to see them as being just as radical and driven by religious ideology as Hamas on the Palestinian side. They may not be carrying out suicide bombings, but that's only because they don't have to. Not when they have the weight of the Israeli government and military, even if it's sometimes grudgingly, on their side. 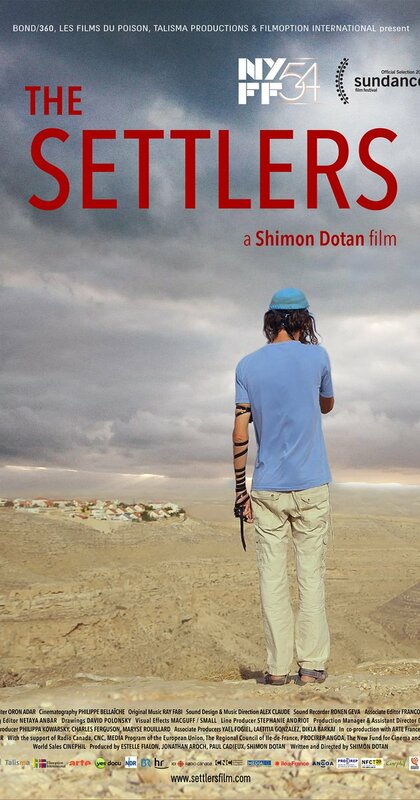 One still isn't going to get the whole story of the Israeli/Palestinian conflict in a one-hour and forty-five minute film. Nonetheless, there's a lot of information here that can help viewers look at the issue with a little more nuance and understanding in the future. 3 out of 4 stars.